Robert Manzon, who was the last survivor of the inaugural Formula 1 world championship season in 1950, has died at the age of 97. The Frenchman was a regular with the Gordini squad during much of the 1950s, most famously claiming a third place finish in the wet 1952 Belgian Grand Prix for the marque. Marseilles-born Manzon initially worked with cars as a mechanic and after World War 2 made his racing debut driving a Cisitalia D46 in 1947. Impressive early results, including some achieved racing against Equipe Gordini patron Amedee Gordini, landed him a contract with the French squad for 1948. He raced both single-seaters and sportscars for Gordini, although results were hard to come by given that the team's ambition wasn't always matched by its resources. Things did start well, with Manzon completing a Gordini one-two-three in third place in the Formula 2 Grand Prix of Geneva in May 1948, but results were not always that easy to come by. Given the limitations of Gordini equipment, Manzon built a good reputation for himself without ever establishing himself in the front rank of the drivers of the era. There were occasional wins in minor events, but too many retirements, often through mechanical problems. Even so, after making his world championship debut in the 1950 Monaco GP, Manzon was a regular for Gordini at the top level, finishing sixth in the standings in '52. This was thanks to points finishes in France and the Netherlands, on top of the third place at Spa, but there were also some good results elsewhere during a prolific season of racing. 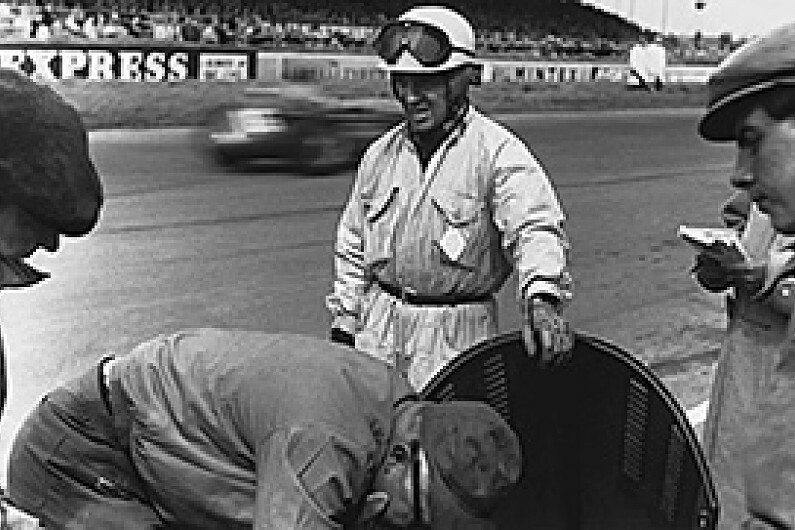 But Manzon left Gordini early in '53 amid frustration at the team's struggles, contesting sportscar races for Lancia before joining Louis Rosier's team, which ran privateer Ferraris the following season. He spent '54 racing for both Lancia and Rosier, taking his second and final podium in a world championship race in the French GP. Manzon agreed to return to Gordini in 1955 and spent two more seasons with the team, struggling in world championship events but winning the non-championship Naples GP in '56 for F1 cars, as well as taking the Circuito di Pescara sportscar race. After his retirement, Manzon was regarded as a very able driver who would have won more races in better equipment.